It's kind of like how Goldilocks thought the porridge was too hot or too cold, it's only when the beer is made at the right temperature that you get one that tastes just right. If you live in a cool climate, it's winter or you just don't' have the right place to brew your beer, then a heat pad could be what you need. 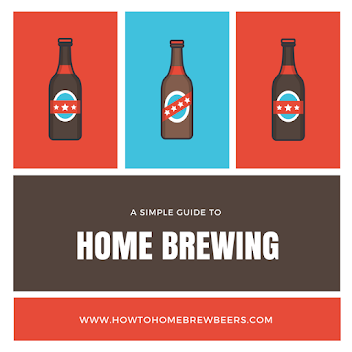 Heat pads or (panels) are electric heaters for fermenters and carboys that maintain the temperature so that your beer will brew as you want it. Using a heat pad means you can brew all year round. And the best thing about them is that they are to easy to use, you plug them in, place it under your fermenter and away you go. Most units have a thermal regulator so that the pad doesn't overheat the wort. Generally speaking, this means you are able to keep your brew to 5-20 degrees Fahrenheit above room temperature. Kenley reckon that when you’re making beer, mead, wine, cider or kombucha home brewing is part art, part science and part luck. 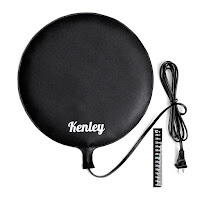 So you can improve your chances of making a good beer by using their fermentation pad to create a consistent brew temperature throughout the brewing cycle. 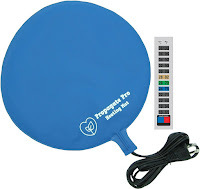 At 12in (30cm) in diameter, this round heating mat is big enough to accommodate your standard carboy letting. The bottom-up heating mimics and enhances the natural heat created by active yeast, giving you a better brew sooner. Check out the price on Amazon. Don't like the black? Try the Propagate Pro in blue. Built-in temperature regulation it will keep your brew, at the perfect temperature. Wattage:25-Watts with a 6 foot long chord. If you're wondering how well the unit does the job. Check out these reviews from people who have used it with success. "Perfect for keeping the chill off during fermentation. I love mine"
"When I first began brewing Kombucha I couldn't get a good batch very quickly. It was taking over 3 weeks to ferment. After a little reading about what the problem could be, I realized the temperature was too cool. Bought this warmer and it did the trick. Perfect batches of Kombucha in about 10 days." "This was great for maintaining a constant temp for fermentation of home brew. We used a sweatshirt to wrap around the top of the carboy." "This little gem solved my problem of holding my fermentation to a specific temperature. I added a temperature controller to make this a plug-in and forget it operation. "This product is super simple and works great!!" If these haven't warmed your heart, then nothing will make you check the price on Amazon. Just be wary that if you are ordering outside of the US, you'll need to ensure the unit has the correct plug for your needs. Pads have also been known to keep a dog's sleeping area warm!